Ed Abbo is President and Chief Technology Officer at C3 IoT, which provides an AI and IoT software platform-as-a-service to power enterprise digital transformations. Mr. Abbo leads C3 IoT’s strategy and execution, including technology direction, innovation, and customer success. Prior to C3 IoT, Mr. Abbo was Senior Vice President at Oracle Corporation, where he was responsible for its application products. Prior to joining Oracle in 2006, he was Senior Vice President of Engineering and Chief Technology Officer for Siebel Systems. Mr. Abbo earned a Master of Science in Mechanical Engineering from the Massachusetts Institute of Technology and a Bachelor of Science in "Mechanical & Aerospace" Engineering from Princeton University. Rohit Adlakha heads Wipro’s Artificial Intelligence (AI) and Automation charter. This encompasses three important levers – the Wipro HOLMES TM AI platform offerings across infrastructure, applications and business process services, 3rd party technology capabilities under the Automation Ecosystem approach, and the Automation Advisory practice that enables a people-focused, technology-agnostic automation journey mapping for clients as they embark on their digital transformation initiatives. Strengthening and building partnerships in this area through alliances, investments and acquisitions, and overseeing the global delivery and rollout of Wipro HOLMES is also a big part of Rohit’s overall portfolio. Under his leadership, Wipro has been recognized and ranked as a ‘Leader’ for its AI, RPA and Automation capabilities by Analyst firms such as Gartner, Everest Group, Forrester, HfS Research and Nelson Hall, to name a few. Wipro has also won prestigious awards from ISG, such as ‘Challenge The Future’ Awards 2017, and in the ‘Excellence’ category at the 2017 ISG Paragon Awards which celebrate the outcomes driven by automation. Rohit is a prominent speaker and thought leader on the AI-driven enterprise digital journey. He is a member of the FORA (Future of Operations in the Robotic Age) Council established by HfS CEO Phil Fersht. He was most recently invited to deliver sessions at leading industry events such as NASSCOM Annual Technology Conference, India Mobile Congress, Constellation Connected Enterprise 2017 and VentureBeat Summit 2017. Rohit has also been featured in the cover story ‘Driving the Enterprise Digital Journey with Wipro HOLMES’ of CIOReview magazine’s special AI edition, which recognized Wipro as one of the ‘20 Most Promising Artificial Intelligence Solution Providers’. Since 1995, Rohit has held a number of prominent and strategic responsibilities across sales, delivery, P&L management and technology domain development that have helped shape and grow Wipro’s global services offerings. Prior to his current role, Rohit managed the go-to-market and practice development for Wipro’s Global Infrastructure Services (GIS), where he played an important role in securing a number of marquee client relationships and strategic partnerships. He has also incubated and scaled several businesses from their infancy, namely GIS Growth Markets, Wireless Applications and the Application Management Services business. Rohit is also a great people’s person, he takes keen interest in the all-round development of his team and is focused on creating the next generation of Wipro’s leaders. Sean is currently Principal Director, Microsoft AI, reporting to the Vice President of Business AI. He had his first experience with artificial intelligence-based systems in 1999, working on speech recognition and AI-based music creation teams. From co-founding three startups by the age of 23 to working on some of the earliest speech recognition technologies, Sean's passion is building world-class teams that create entertainment experiences consumers love. A 20-year veteran of the Developer PlatforMedia Center Launch in LA with Bill Gatesm, OS and Console industries, Sean was recruited into Microsoft's Developer Division straight out of undergrad and moved quickly in the Windows executive leadership program. Alexander notably helped lead the launch of Windows XP and Windows Media platforms from #4 to #1 most used music and entertainment platform, earning a Technical Emmy Award for the work. Mr. Alexander also led engineering efforts in Windows platform, and the creation of Microsoft Silverlight, before joining Xbox to start up a new business and engineering group. Mr. Alexander holds multiple patent awards for his work spanning customer research and interactive entertainment. Following a family tradition, Sean graduated from the Collins School of Business at the University of Tulsa, a top cybersecurity research institution. Awarded CIS Graduate of the Year, Sean founded a student tech incubator with seed support from Microsoft, RealNetworks, Williams Corp. and multiple cable operators. Nationally recognized by USA Today and NASA JPL for innovations in online development, this early work contributed to early Cable operator delivery of online video and the University's computer security program now ranked among the top four NSA Centers of Excellence. 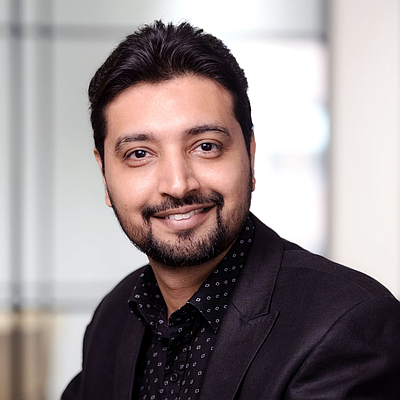 Hosein is a PhD qualified lead data scientist who established data science team at VicSuper in 2016 and since then he helped the fund to grow by making more data driven decisions. He has 8+ years of hands-on experience in development of commercial solutions in various industries including superannuation, telecommunication, banking, and healthcare. He has in-depth technical knowledge of data science including predictive algorithms, cluster analysis, ensemble techniques, social network analysis, text mining, and optimisation algorithms. Hosein has also hands-on expertise in data analytics tools (Python, R, SQL, SPSS, MATLAB, Tableau) and is certified in big data analytics (Hadoop, Spark). He has also worked on various large-scale databases including customer transaction, CRM, survey, text, and social media. He also taught data science subjects (data mining, artificial neural networks, evolutionary optimisation) in university graduate programs. He conducted multiple workshops and provided mentoring to other data scientists. He was awarded as “Elite Researcher” for his significant research achievements including 40+ papers published in outstanding data science journals and conferences since 2008. His fully commercialised innovation in segmentation received the highly commended prize of “Technology and Innovation Award” at AMSRS 2016. Hosein’s passion is applying his knowledge and expertise on complex business problems to build creative solutions for business leaders. 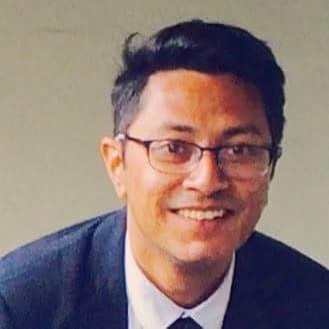 Educated at India's prominent world-beating institutions with an 1% acceptance rate (the IIT and the IIM), Sri is a seasoned financial institutional M&A, strategy and Advanced-analytics advisor with work experience in Chennai, Mumbai (Bombay), London, Sunnyvale (Silicon Valley/Bay Area) and Sydney. Sri started his career as an "old style" banker in the shipping-finance area of a large Indian financial institution (ICICI/SCICI) in Bombay and has subsequently worked with PriceWaterhouseCoopers (Coopers & Lybrand), the Commonwealth Bank of Australia and Elance before founding Swamy and Associates (www.swamyandassociates.com.au) to advise financial institutions and global service providers on Advanced-analytics and BPM strategies. Sri enjoys complex strategies involving all three major components - ITO, BPO and Advanced-analytics components. He was an early mover in respect of his research of the Advanced-analytics sector and its impact on the Australian financial services sector. Sammi, the COO, drives a variety of initiatives including the creation of Medius' virtual health platform and bringing the hungriest minds to work on meaningful problems. Dr Emil P Bolongaita is a Distinguished Service Professor of Public Policy and Management of Carnegie Mellon University (CMU), Pittsburgh, and the head of the university's campus in Australia. CMU is ranked in the 2018 U.S. News and World Report as the #1 school in Artificial Intelligence and Machine Learning in the United States. With the world's largest AI and machine learning faculty, CMU is the first university to establish a Department of Machine Learning and is the only university that offers the full range of undergraduate, masters and PhD programs in AI and Machine Learning. Dr Bolongaita was previously the Unit Head of the Central Asia Regional Economic Cooperation (CAREC) at the Asian Development Bank (ADB). He has also worked for the World Bank as Director of its Global Distance Learning Program on Governance and Anti-Corruption in the Asia-Pacific. He was formerly a Visiting Professor at the Elliott School for International Affairs at George Washington University, an Assistant Professor of Public Policy at the National University of Singapore, and an Assistant Professor of Development Management at the Asian Institute of Management. He received his PhD in from the University of Notre Dame, USA. 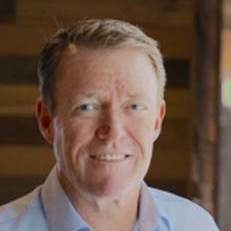 Tim is the co-founder of Blackhall & Pearl and has had a diverse international career through senior executive and board roles with large and complex organisations including; University of Melbourne, Bankers Trust, Austock, Fidelity and COLT. Tim then moved to Fidelity as the Global Chief Risk Officer, before taking on the role of Executive Director for Fidelity Continental Europe. He has also completed a Doctorate on Risk, Performance and Culture. With a long list of references from Australia and around the world under his belt, Daniel has worked across industries and government organisations while also being involved in popular OpenSource projects such as Hibernate and Subclipse. Daniel carries a wealth of consulting and software development experience and has proven both technical expertise and leadership skill in numerous high-profile projects in Australia and the US. Daniel has worked across both the Android and iOS mobile platforms and has successfully delivered multiple projects. Daniel is often asked to speak at various industry events across Australia. As Eliiza's CTO (DigIO's sister company), Daniel's focus has recently been on building out our Artificial Intelligence, Machine Learning and Data practice. 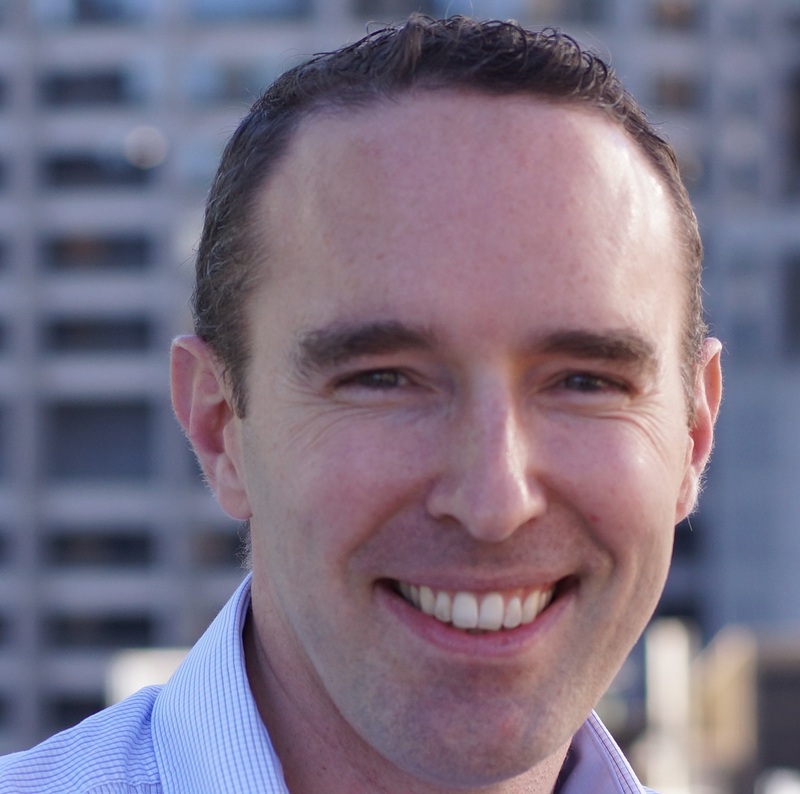 Neil Carter is the Data and Artificial Intelligence lead for Azure in Australia. A dedicated lifelong learner, Neil has a diverse background as a Technology Evangelist, Open Source advocate, and led global programs supporting student technology education and the transition from classroom to boardroom. 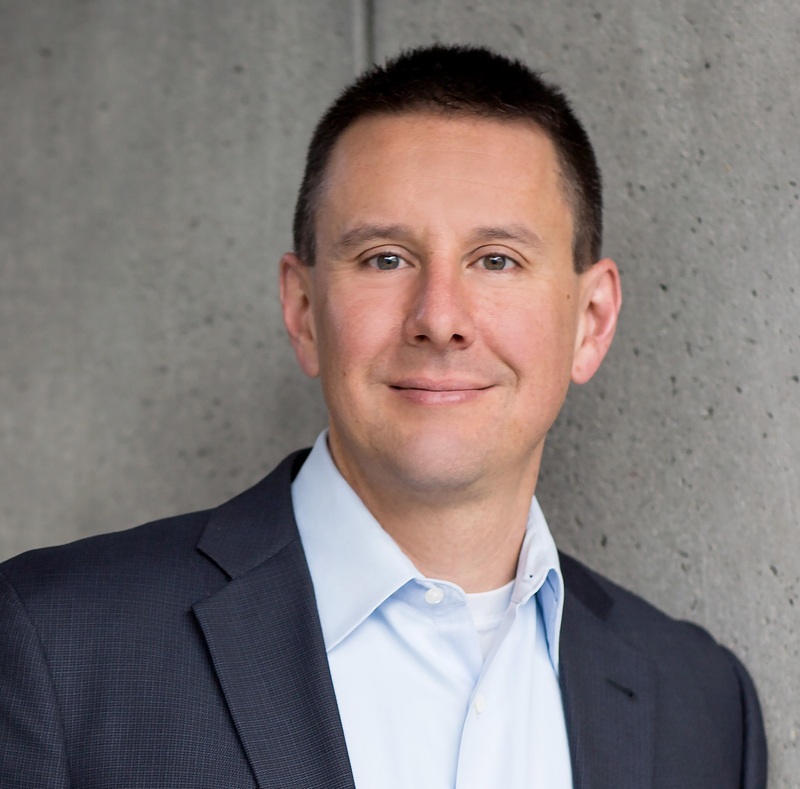 A graduate of the University of Washington’s Foster School of Business, Neil has spent his nearly 11 years at Microsoft helping bridge the divide between technologists and business managers, demonstrating the transformative potential technology has on the bottom line and customer experience. Mark Chatterton is the Co-Founder of inGenious.AI, where we build, design and run chatbots that deliver real value with conversational A.I. He is currently enjoying building chatbots of all shapes and sizes for a number of Australia's top 100 organisations and helping them provide great customer experiences. Mark also ran a PC gaming LAN in Geelong for over 10 years and is the Managing Director & Co-Founder of HomeInspectr that he started with his sister to empower home buyers with the knowledge of professional building and pest inspectors so they know what problems to look for when buying their dream home. HomeInspectr has been parked for now. You'll find his projects here as they happen. 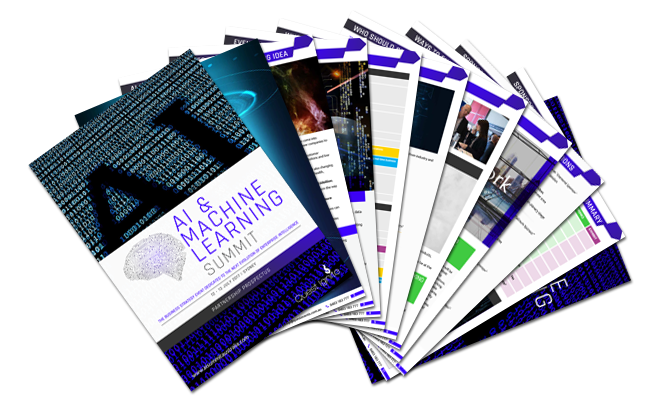 Dr. Chen is a thought leader in AI and data science. She has created many world-class AI solutions while working in Intel, Motorola, NICTA and CSIRO, and helped industries significantly increasing productivity, safety and customer satisfaction. Through impactful successes, she gained many recognitions such as the ITS Australia National Award 2014 and 2015, and NSW iAwards 2017. She is the NSW "Water Professional of the Year" 2016, National and NSW "Research and Innovation Award" by Australian Water association. She received the "Brian Shackle Award" for "the most outstanding contribution with international impact in the field of human interaction with computers and information technology". She is also named as a finalist in Australian's leading science award Eureka Prize for excellence in Data Science (the winner is yet to be announce). Dr. Chen has 250 publications and 30 patents in 8 countries. She holds professorship with UNSW and the University of Sydney. 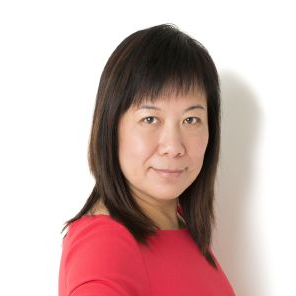 Prior to joining Tencent, Si was a Senior Strategy and M&A Manager at Telstra, where she led a number of international strategy and M&A projects across Australia, China and North Asia. She also worked as management consultant at L.E.K. Consulting in Australia and the UK, delivering strategy and implementation projects across a range of sectors. Si holds a Bachelor of Commerce (Distinction) from the University of New South Wales, and completed exchange semesters at Hong Kong University and New York University Stern School of Business. Si was raised in Australia and is bilingual in English and Mandarin. She is an alumni of the Asialink Business Leaders program and Australia China Youth Dialogue. 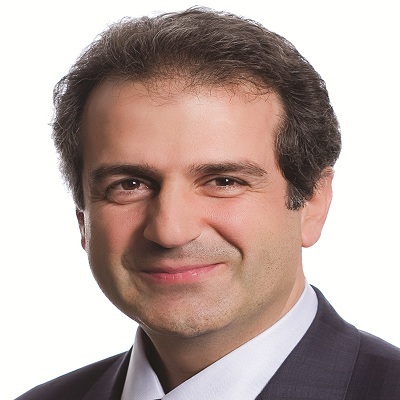 Tom Daemen is a Director in Microsoft's Corporate, External and Legal Affairs group. 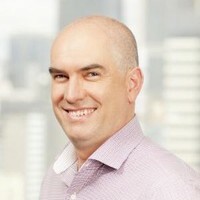 He currently leads the legal and government affairs teams in Australia and New Zealand, and previously held numerous other positions with Microsoft around the world. For example, he worked in Brussels and helped the company navigate the European Union's legal and political maze, and led the global legal team responsible for Skype and Office. He is a frequent speaker on a range of digital issues, including privacy, security and artificial intelligence. 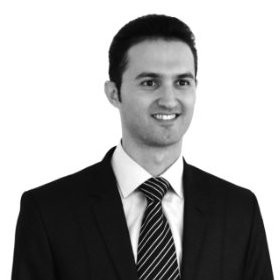 With legal degrees from Europe and the United States, Mr. Daemen is both an English Solicitor and a U.S. qualified lawyer. 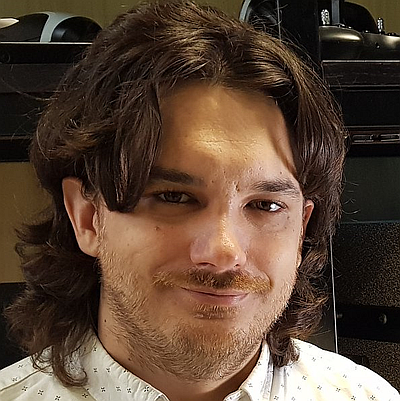 Dr David Dean is passionate about developing state-of-the-art machine-learning algorithms and turning them into real systems that improve the lives of everyone. 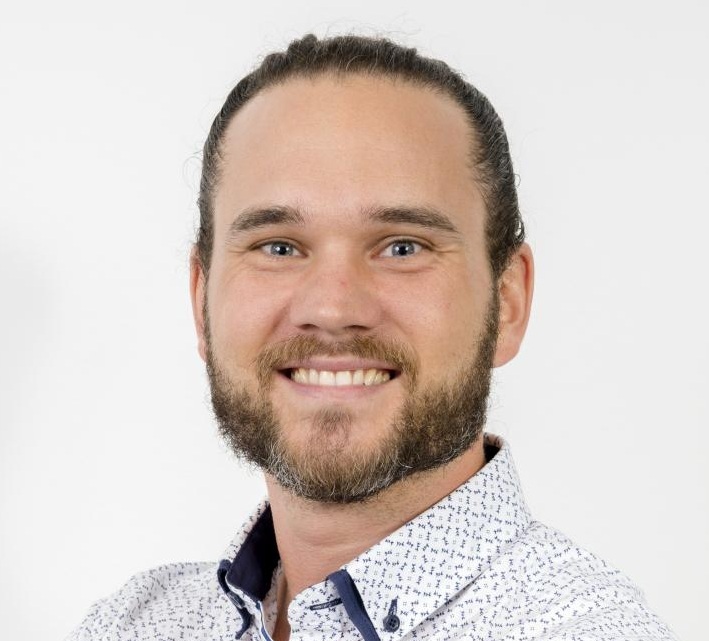 He has 14 years of research and development experience with machine-learning and artificial intelligence at Queensland University of Technology, the University of Queensland, as well as a number of exciting ML health start-ups. 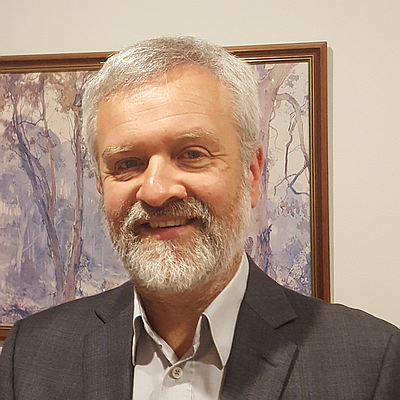 Now working with TAFE NSW Digital, David is push the use of AI and ML to improve the learning experience for vocational training across the entirety of TAFE NSW. Mohadeseh is a PhD qualified lead data scientist with 6 years of experience in working closely with business stakeholders and development of innovative machine learning models and predictive algorithms for multiple industry sectors including finance, retail, energy and telecommunication. 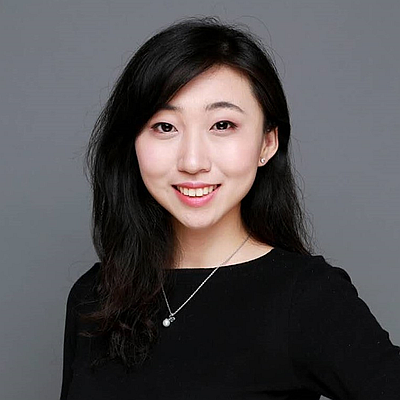 She has been a data science research fellow at University of Melbourne and also taught Machine Learning subject at Melbourne Business School. 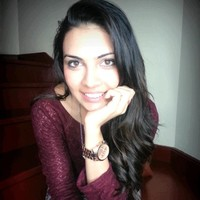 With both qualifications in business and computer science and her commercial experience and passion for problem solving, Mohadeseh leads the data science function at AusNet (Commercial Energy Solutions) to support data driven decision making and smart energy solutions. Tim is a Director at Verge Labs, a new type of AI company focused on the applied side of machine learning. At Verge Tim sifts through the daily firehose of theoretical research and builds a curated library of techniques and utilities ready to be switched on at companies today. Prior to this Tim spent six years absorbed in machine learning and data related roles in financial services tech companies including Atlassian, Spaceship and Airtasker. 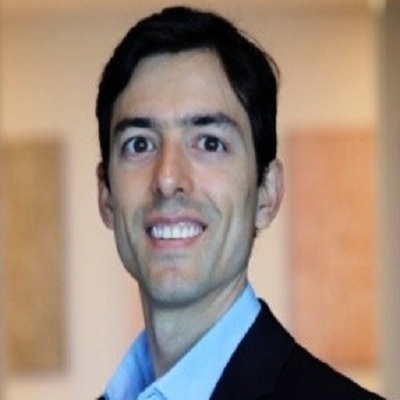 Richard started his first career as a research scientist (PhD bioinformatics) in academia and early stage biotech and, following an MBA and a stint in life-science venture capital investing, started his second career in strategy consulting. 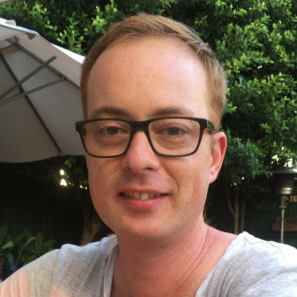 Prior to joining Faethm, Richard managed Advanced Analytics at Woolworths and led a team of developers and data scientists at Quantium. As the Chief Data Scientist at Faethm, Richard is now combining his skills and knowledge to build new products that will greatly benefit society. 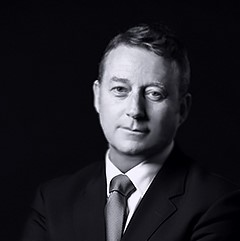 Shayne Harris is the ANZ Head of Technical Sales for Lenovo Data Centre Group. A highly successful sales and business professional with more than 20 years of experience in digital industries, Shayne currently sets and manages the strategic intent of the technical sales resources for the Lenovo Data Centre Group across Australia and New Zealand. Shayne has a strong track record of achievement in complex consultative, solution-based sales. He establishes and maintains strategic relationships at Executive and C-level in a variety of industries including broadcast, digital and online, and government and enterprise. Shayne holds a bachelor of Business Management from the University of South Australia. William is the head of Social Robotics at the Commonwealth Bank's Sydney Innovation Lab. 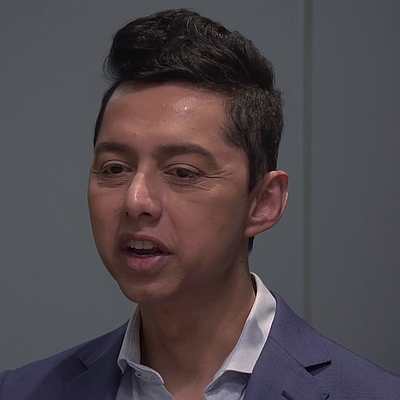 Here he spearheads the bank's research and development program into human robot interaction, a collaboration between the bank, the University of Technology Sydney, the Australian Technology Network of Universities, and some of the bank's key clients. This program aims to explore the commercial applications of social robots, enhancing customer experiences whilst contributing to the broader body of knowledge and research around how social robots interact with humans. William was a founding member of the bank's Innovation Lab concept and spent six months in Hong Kong establishing and heading up the bank's Asian-centric innovation space. He has a varied background in finance, IT and user experience, with a University Medal from the University of Sydney. Jacek has been working in academic, technical and leadership positions for over 30 years. He holds a PhD in Mathematical Statistics but his expertise also includes Statistical Learning Theory, Machine Learning and a number of ICT disciplines. Jacek worked at universities, telecommunication companies such as Telstra, finance companies such as ANZ, NAB and Liberty Financial as well as technology start-ups of which the most successful Azure Wireless Pty Ltd was acquired by Docomo NTT. Throughout most of his professional career Jacek has been involved in R&D. He published papers and holds technology patents. At present Jacek works as the Chief Data Scientist at Australian Unity where he is responsible for building the Data Science team which operates as a centre of excellence cooperating with every business unit of the company. Kshira Saagar (Shee-Ruh Sa-Ga) has been with the Analytics/Decision Sciences industry for almost a decade now having worked across Americas, Asia, Europe and more importantly Australia. The bulk of his work has been focussed on developing solutions for the Analytics problem spaces of the Retail, Telecom and Insurance marketing departments at some of the leading Fortune 100 clients. In his other roles, he has enabled decision making through data for clients from the Media, Healthcare, Aviation, Logistics and FMCG organisations. In his current role at The Iconic, as the Head of Analytics and Data Sciences, he's responsible for understanding and enabling data driven decision making. Previously at Datalicious & prior to that at Fairfax, he was responsible for institutionalising data-driven analytics across the company’s core competencies and building new-age analytical products for the organisation. 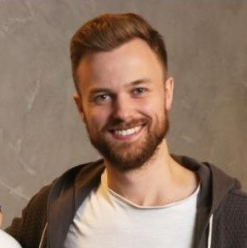 Adrian is senior data scientist at Airtasker where he's built their machine learning pipeline and is responsible for building their machine learning products He's worked in the startup scenes in Sydney and the UK and conducted research in mathematics and machine learning out of Warwick University, Australian National University and Charles Sturt University. His research has covered neural networks, time series algebra, matrix analysis, complexity theory, machine learning, statistics and data science. 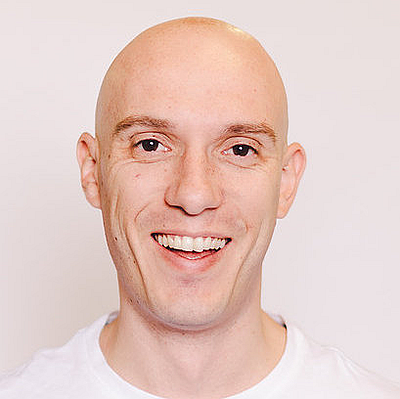 Alex has worked as a product manager in media and software, both in Australia and the UK, for the last decade. He has worked on the development of everything from sites & content management systems, video platforms, recommendations engines and mobile apps. Now at Sydney and San Francisco based search-as-a-service company Sajari, Alex and the rest of the Sajari team are transforming search technology through machine learning and AI. Janine is a professional with over 15 year’s digital experience within the Media industry. Her experience across Digital Marketing, Digital Strategy and Delivery and Product Management ensures that Janine delivers the greatest digital outcome and customer experience possible. Currently at Foxtel, Janine is transforming their digital experience by introducing and enabling new types of innovation throughout customer experience, operational agility, culture & leadership and digital technology integration. Katharine McLennan has a career that spans corporate strategy, execution and leadership development. Her specialty is facilitating executive teams in the integration of strategy, operations, team dynamics and self-transformation. Over the years, Katharine has led the global People & Culture function for Cochlear, the Talent and Business Unit HR function across CBA, and the Global Leadership Academy for QBE. 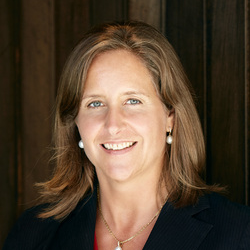 Prior to her corporate years, Katharine spent 10 years in leadership advisory work, leading projects in CEO succession planning, C-suite team strategy facilitation and executive assessment for ASX top 50 clients. Before her leadership consulting years, Katharine spent four years as the key architect and implementer of the Sydney Organising Committee for the Olympic Games operational planning, known as the main facilitator for the venue operations and contingency exercises. In the early 90s, Katharine worked for Booz Allen & Hamilton, driving corporate growth strategies, business reconstruction and process re-engineering across health care, banking, telecommunications and logistics. Katharine serves on the Advisory Board of the UTS Business School and on the Board of Petrea King's Quest for Life Foundation. Hamish is the Head of Digital Service at AGL. In this role he leads the Digital transformation of AGL’s service capabilities, combining technology skills with commercial experience to improve customer experiences. 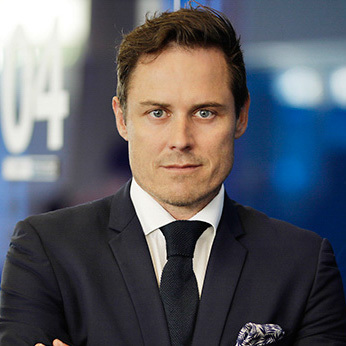 Prior to joining AGL he spent five years at Telstra Digital where he managed Telstra's digital channels and assets as part of the broader digital transformation agenda. Jacqui McNamara has worked in the cyber security field for more than two decades. 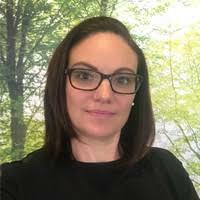 She is currently the Head of Cyber Security Services, Telstra, and has previously run startups in the security sector and managed large businesses for IBM, HP and Dimension Data. 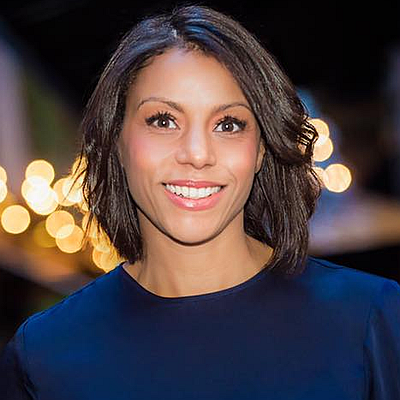 She is a passionate supporter of diversity and women in the industry and in her oodles of spare time chairs Females in IT and Telecommunications, Australia's largest and longest running body for women in the industry. Jacqui has spoken at many conferences on diversity and inclusion, and security. She is a former intelligence officer with the ADF and served for many years in different commands, including the G6, 6 BDE and Special Operations. She is secretly excited by cryptography and enjoys the opportunity to challenge assumptions and norms around the role of women and other minorities in the industry and across the board. 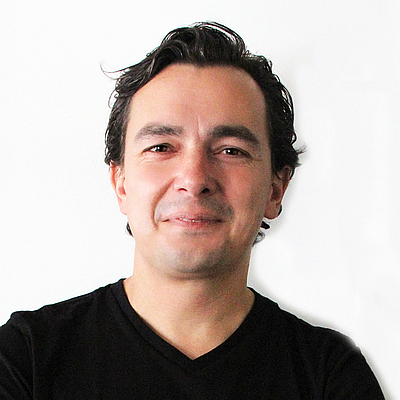 Felipe specialises in leveraging technology to deliver sustainable business performance improvements across a range of industries. 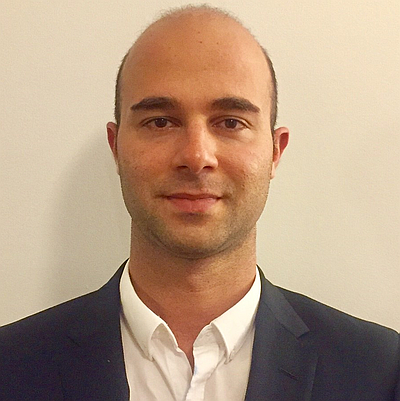 Felipe has a background in management consulting and more recently has been supporting C3 IoT's growth in APAC. C3 IoT delivers a comprehensive platform as a service for rapidly developing and operating big data, AI/machine learning, and IoT applications. C3 IoT also offers a family of configurable and extensible SaaS products developed with and operating on its platform. Atul Narang is a serial entrepreneur, digital geek, certified project manager, trainer and the founder of HashChing. He was recognised and awarded CIO/CTO of the year at 2nd Annual Australian FinTech Awards 2017. He was also nominated as a finalist for CIO of the year at Australian Retail Banking Awards 2017. He is currently a finalist for Business leader of the year award in Indian Australian Business Community Awards being organised in October. Prior to HashChing, Atul established his own digital agency, serving renowned clients which included Specsavers, Lexus, and Korean Tourism. His experience spans from ideation to branding, building, launching, and online marketing strategy for digital products. He is a sought after keynote speaker covering topics from digital disruption, growth hacking, AI and digital transformation. He is an adviser to the start-ups in the EdTech and InsurTech space and advise them on their product and launch strategy. 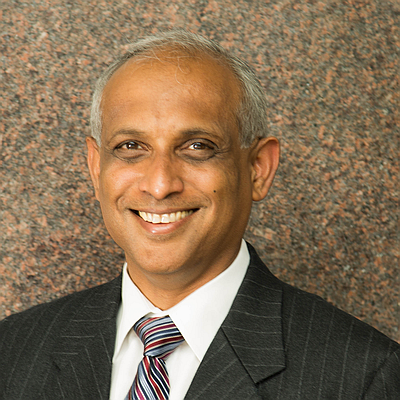 As a social non-profit initiative, Atul is a part of the advisory board at Youth Engagement and Employment Support System (YEESS), where he works closely with the board on their mentoring initiative for young entrepreneurs. 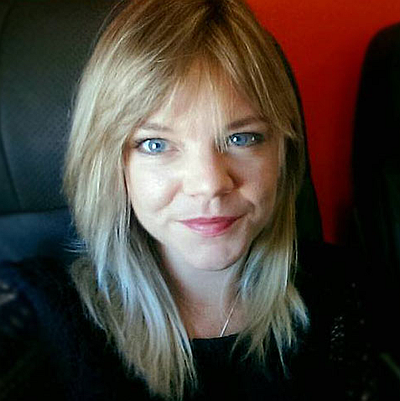 Natalie has completed a PhD in Neuroscience and is now the Artificial Intelligence Specialist for the Office of the Queensland Chief Entrepreneur. In her current role, she works on developing strategies to advance Queensland by improving the adoption of AI. She is also co-founder of Brisbane.AI, a meetup group that runs AI events and training programmes. She is particularly passionate about democratising emerging technology to enable better solutions to be created for the world's problems. Tony Saldanha is a globally recognized and versatile Fortune 25 company Global Business Services (GBS) and Information Technology executive with a rich blend of business and technology leadership expertise. Tony has over three decades of international business expertise in the US, Europe, and Asia. 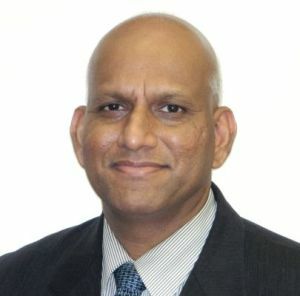 He was named on Computerworld's Premier 100 IT Professionals list in 2013. Tony brings a proven track record of GBS design and operations, CIO positions, acquisitions and divestitures, outsourcing, disruptive innovation, and experiences in creating new business models during a 27-year career at Procter & Gamble. Tony has board experience in industry organizations, in client advisory boards and in non-profit organizations. Tony is a recognized thought leader in the IT industry and is currently working on a book on digital transformation that is aimed at providing practical advice to boards and CEOs on executing sustainable transformation. During his latest role at Procter & Gamble, Tony took on the challenge of disrupting the already best-in-class $2.5 billion Global Business Services operation, after having run most aspects of it over the previous decade. This quickly became an undertaking to disrupt the global IT and shared services industry, given P&G's leadership position in the area. Tony brought together peer Fortune 50 companies, the top global IT companies and venture capitalists to deliver this effort. Prior to this, Tony ran Global Business Services and IT for all P&G's business units and 75 countries, as well as the Business Intelligence and Analytics function for P&G. As the leader of Global Business Services and IT for all units, he was responsible for creating new business models using technology in the business, in addition to delivering cost and service targets. As part of the latter position, Tony created new award-winning analytics and algorithm driven business models for selling, marketing, manufacturing and finance. In 2005, Tony served as CIO for the $10Bn Gillette company, after P&G had acquired it. In this role, Tony delivered a highly complex integration of all commercial areas within 18 months to help create one the most successful acquisition integration success stories in the industry. In 2003, Tony successfully program-managed the $8Bn outsourcing of IT and Shared Services for P&G. This was the largest outsourcing deal in the industry at the time. Beyond these, Tony has held several strategic change leadership as well as operational roles. Other P&G roles included CIO and GBS leadership roles across all geographic regions, global IT product development experience, as well as setting up and running offshore organizations. Prior to this, Tony was a technologist and consultant for two subsidiaries of Unisys corporation in the late 1980s. Tony's board experience includes IT Advisory Board membership at the University of Cincinnati, at the Indiana University Business Intelligence program and the University of Texas. 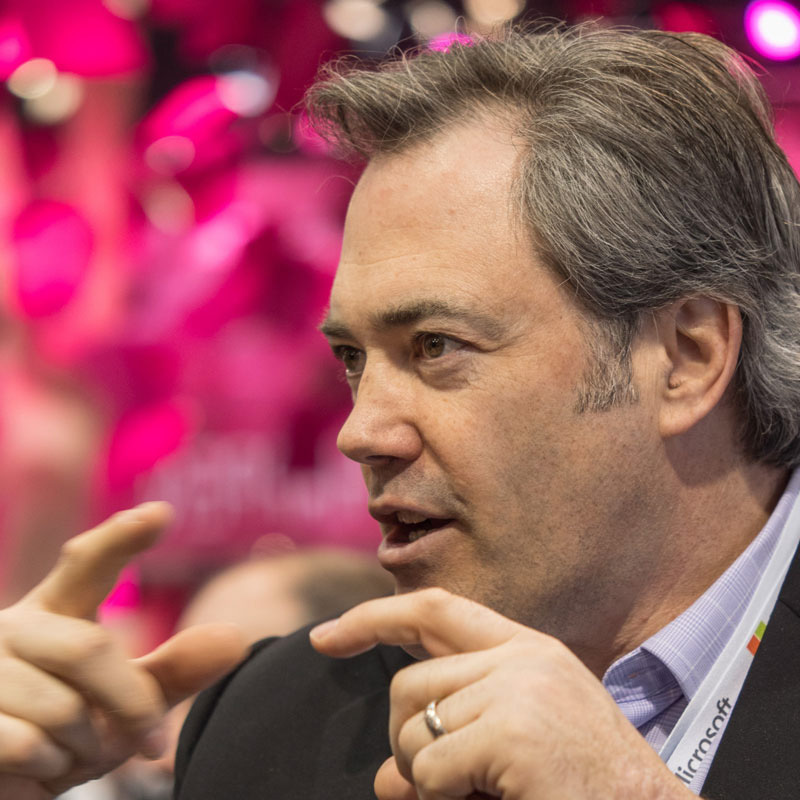 He has been on the Customer Advisory Boards of Cloudera, Box and High Radius. Among non-profits, Tony was the founding member and Chairman of the Board for the INTERalliance of Greater Cincinnati, and is currently on the boards of Community Shares of Greater Cincinnati, and Remineralize the Earth. Tony holds a Master of Business Administration degree from the elite Indian Institute of Management, Lucknow in India. He and his family reside in Cincinnati, OH. Darwin is an Intelligent Cloud - Big Data/AI Advanced Workload Lead at Microsoft focused on Big Data, AI and IoT. His Data-AI-IoT experience has been gained through a number of diverse roles at Microsoft as well as at other technology companies like IBM and Business Objects. In addition to his work at Microsoft, Darwin has worked in a variety of industries (technology, healthcare, financial services, insurance, pharmaceuticals, travel, education, non-profit, and utilities) including Seattle area organizations like the UW, WaMu, Expedia, and SnoPUD. An aspiring Data Scientist and dedicated lifelong learner, he has contributed to continuing education over the last 9 years as an instructor for the University of Washington Professional and Continuing Education certificate program. He has also been a teaching assistant in the TEALS program http://tealsk12.org for the last 5 years, where he helps students learn Java and prepare for the AP Computer Science exam. Darwin and his wife have 4 dogs, and enjoy hiking, golf, cycling, reading (technology or books about US Presidents - just Darwin), and listening to Blues and Jazz. 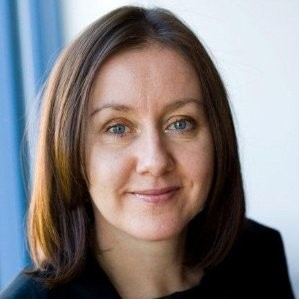 Kelly Slessor CEO and founder of Shop You is a Digital Retail Strategist specialising in mobile. Kelly began her career with British Telecom, the UK's largest telecommunications provider. Kelly has spent her career understanding consumer behaviour, simplifying technology and designing the future based on insights and research to drive results for retailers. 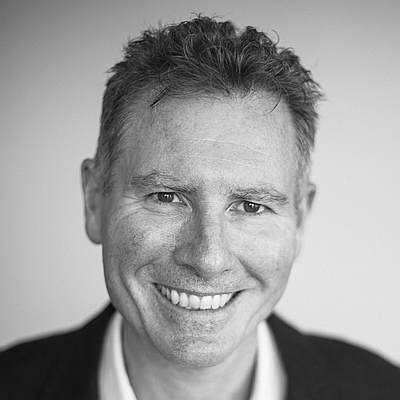 As Managing Director of GumGum for Australia and New Zealand, Jon Stubley was GumGum's first ANZ hire, establishing GumGum's local presence in January 2016. Jon is responsible for the strategic growth, revenue and team development for GumGum within this region, and now leads a team of twenty with offices located in Sydney and Melbourne. Throughout Jon's career he has worked across many different media, both traditional and digital, bringing over twenty years of leadership experience to GumGum. Prior to joining GumGum, Jon was the inaugural Commercial Director Australia at Pandora Media where he built the sales and commercial operations team. He has also served as Head of Direct Sales with The Macquarie Radio Network and General Sales Manager with the Australian Radio Network. Dan Taylor leads the innovation team, including TAL’s accelerator, incubator and data lab, with responsibility for leveraging emerging technologies, such as AI, to drive transformational change across the business. Dan has been at the frontline of corporate innovation for over 15 years, working in and with some of the world’s largest companies to establish and sustain innovation. He has developed and launched everything from digital payments technologies to engineering services, from smart home products to electric vehicle businesses, and from media ventures to telecoms tariffs. Dan has expertise in customer-led design and in leveraging data and technology to deliver commercial growth. He is the author of The Secrets of Big Business Innovation. Colin Timm Country Director, Google Cloud, Australia and New Zealand Colin joined as Country Director of Google Cloud in September 2017. He has responsibility for all of Google Cloud in Australia and New Zealand, including G-Suite, Chrome and Google Cloud Platform (GCP). Google Cloud is building strong momentum in Australia and New Zealand following the Australian Cloud Region launch in mid 2017 and developing a strong emerging Partner ecosystem. Colin has more than 27 years experience in the I.T Sector. 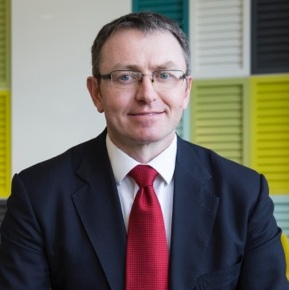 Prior to Google, Colin spent almost 5 years at Telstra as Executive Director responsible for Telstra’s Enterprise business, serving its largest customers. 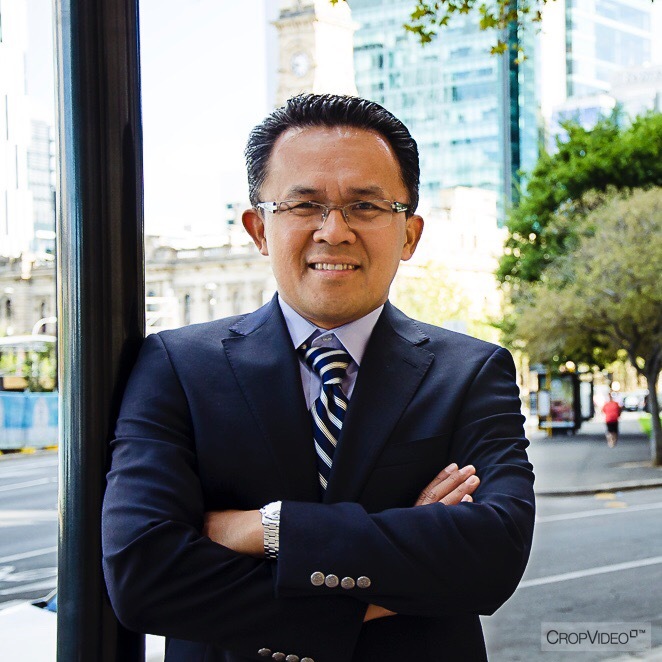 He also served as Executive Director for Operations & Services for Telstra’s Enterprise & Government division. Colin worked at AWS where, as the Managing Director for Public Sector APAC, he helped establish their Government footprint in the region. He spent almost a decade at Microsoft, where he ran their Enterprise business in Australia for 4 years, followed by 2 years as Managing Director of their Public Sector business across APAC. Colin also spent 8 years with Sun Microsystems, managing their Banking & Finance business in Australia, as well as across various leadership roles in his 5 years with Unisys. Originally from South Africa, Colin, his wife and 3 children immigrated to Australia more than 20 years ago and are now proud Australians. He has a Bachelor of Science degree in Engineering and is an avid cyclist and sports enthusiast. I am a seasoned Data Scientist, executive, leader and strategist. I am an expert in business communications, product and process design relating to DataScience space. I am an addict Fellow at the University of Technology Sydney and a Chief Data Scientist at deloitte and a machine learning specialist, I focus in Data Science models for predictive capabilities. I have worn many hats in my career - programmer, researcher, manager, strategist, technical reviewer for manning publications and DataScientist. I have a unique ability to mange multi-disciplinary projects and navigate complex challenges. 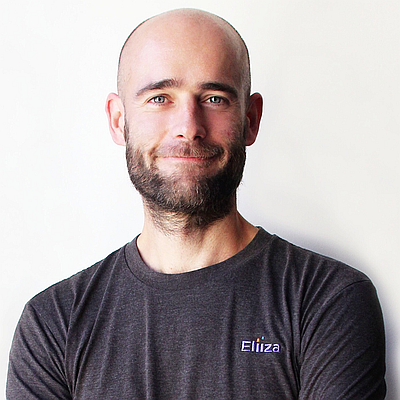 James is CEO of Eliiza, a Melbourne-based data science and engineering business. 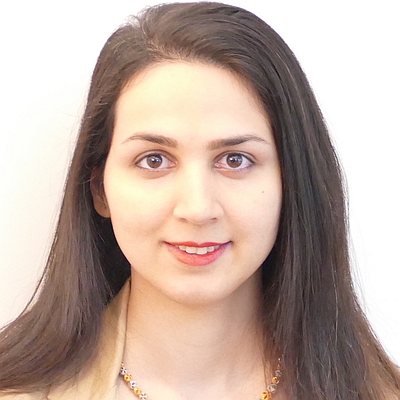 Eliiza helps organisations ideate, build and scale commercially viable AI/ML systems. 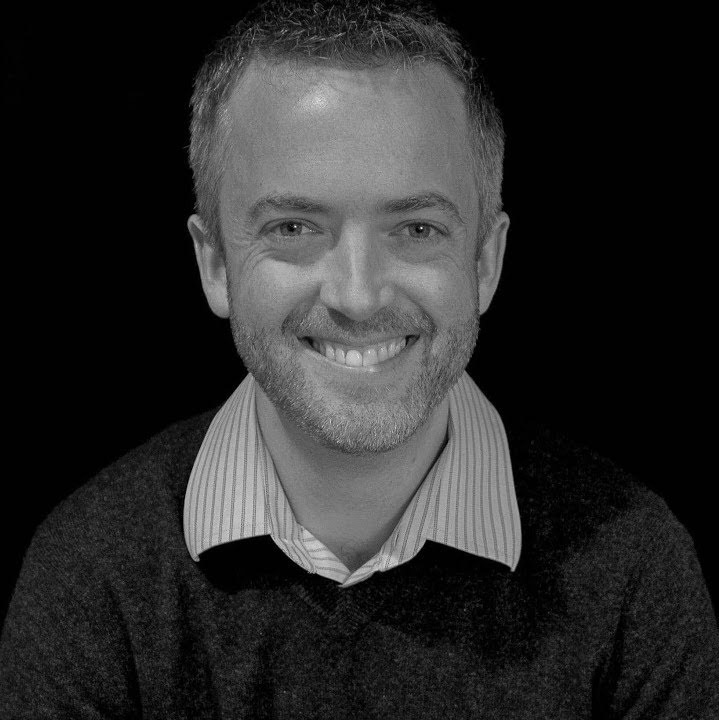 James has a wealth of experience leading enterprise scale digital transformation across a range of industries including Telecommunications, Media, Wagering and FMCG in Australia and Europe.